INDUSTRY.co.id - Banjarbaru- The Indonesian Ulema Council (MUI) issued a fatwa on the money and fees for legislative candidates forbidden. He says, giving something in the form that is not allowed because choosing one of the existing as a voter. He stressed, if voters are directed to choose someone else and get paid, the law is forbidden. Including, the person giving or committing an act which is not justified. "The act of giving is incorrect and accepting also should not be because it is classified as haram, an unbiased choice for the competent person in his field," he said again. According to him, any request and or assistance in the form of nominations for a person as a public official is haram and includes risywah (bribery). "The reward is forbidden because it belongs to the category of risywah (bribery) or opens the way risywah if it is indeed his duty, responsibility, and authority," he said. Then, ask the person who will be involved or elected as a candidate for legislative members, regional heads and other public offices when it is his duty then the law is haram. "Similarly, various responses to a person when it is indeed a duty, responsibility and authority then the law is haram," and vice versa. In fact, payments that have been granted in the nomination process or special offers for a particular position may be confiscated as well as for general use or benefit. "So, the legal status of the reward given can be seized and for the public and the general good," said a member of the House of Representatives of the National Awakening Party (PKB) as well. 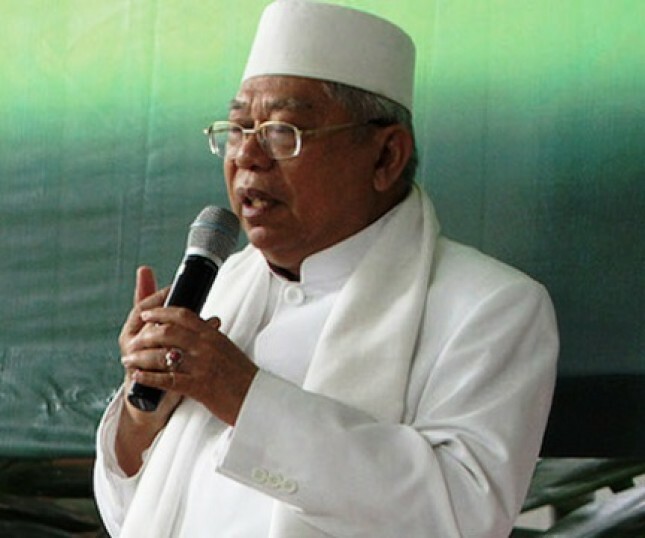 Ijtima 'Ulama MUI Fatwa Commission centered at Pondok Pesantren Al Falah Banjarbaru through the congregation of 34 MUI from all over Indonesia.